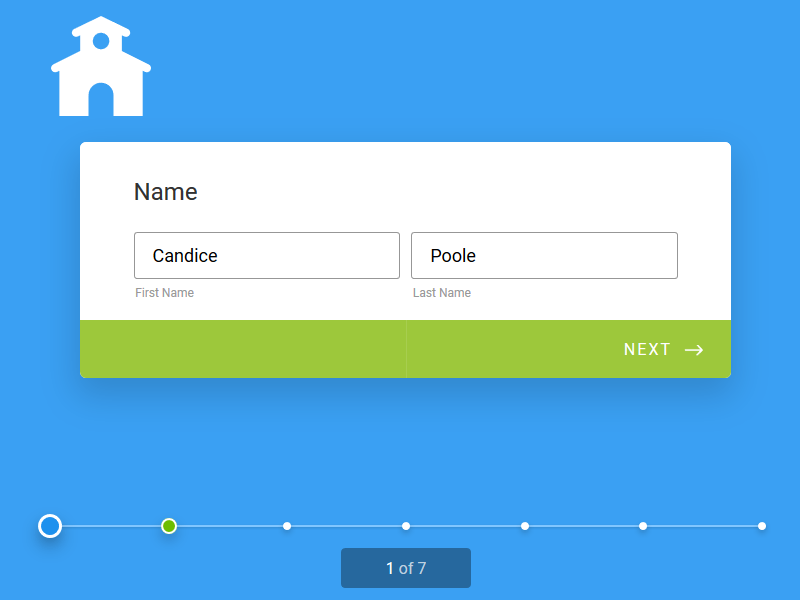 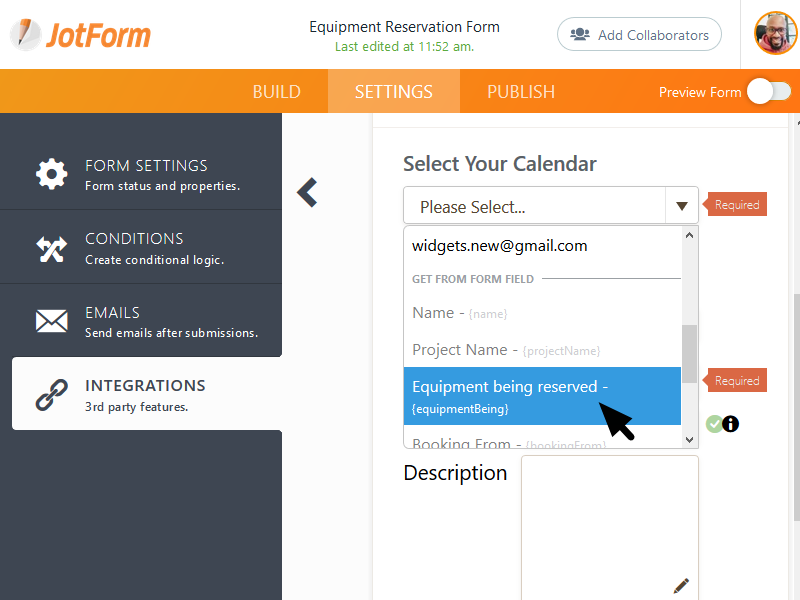 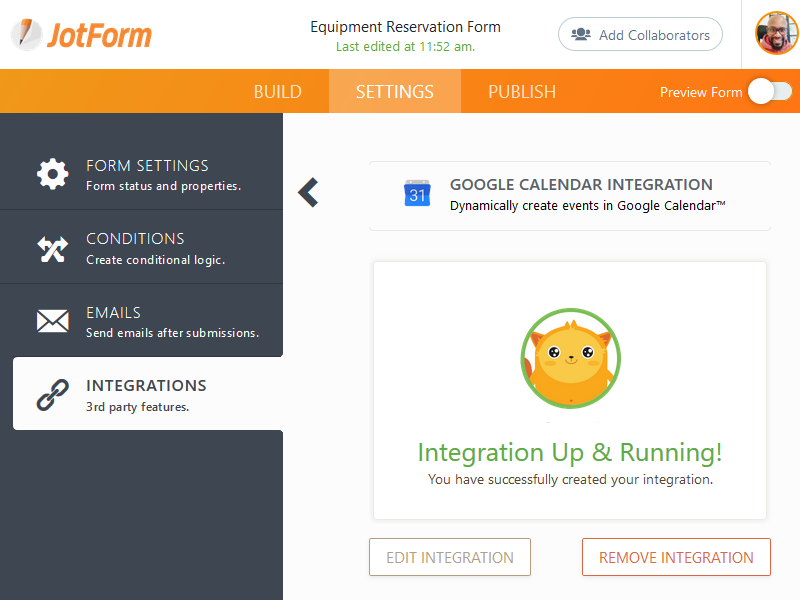 Connect your form to Google Calendar™ and dynamically create events with every form submission. 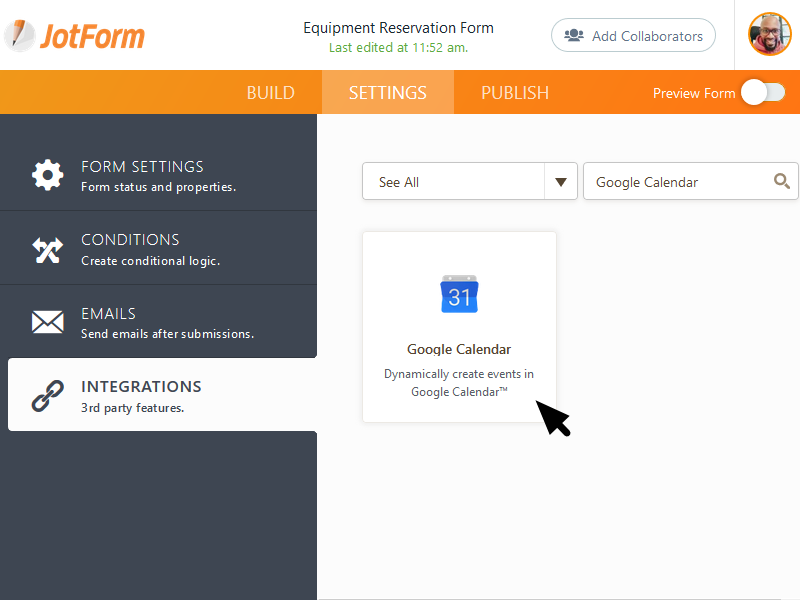 Setting up takes a few clicks, where you can decide to save any information from your form in Google Calendar™. 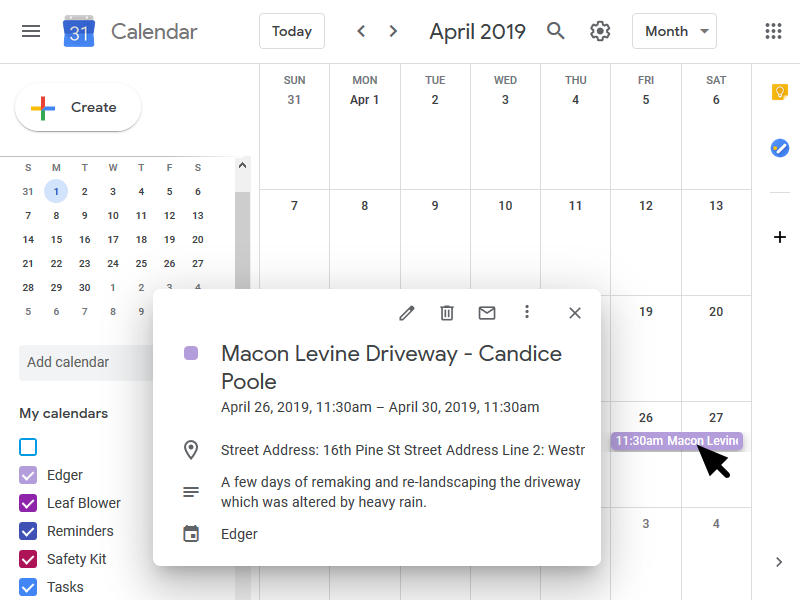 You can connect multiple calendars at the same time and update them simultaneously, making sure you never miss a booking, a meeting, or a scheduled appointment.